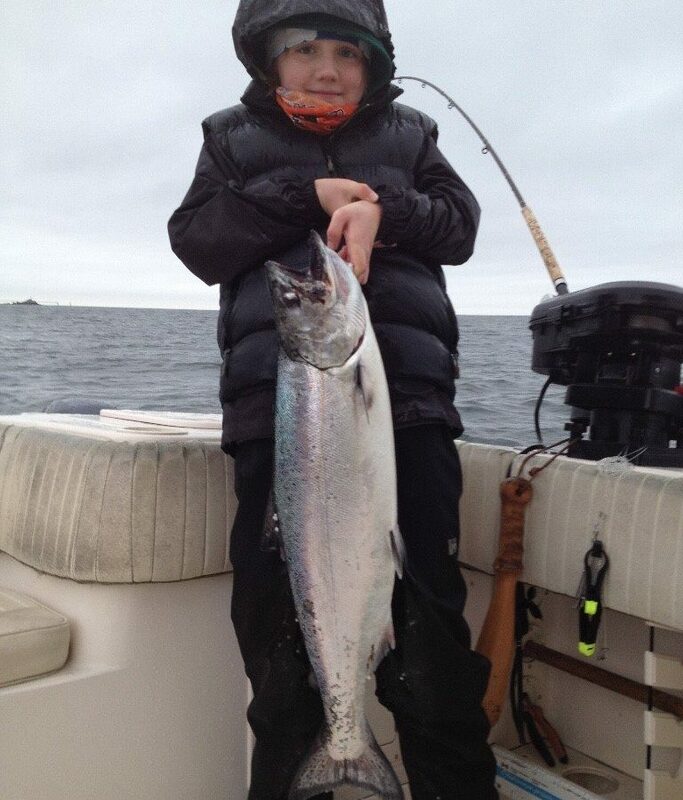 Kai with a nice winter chinook caught on a very wintery trip this week! I am happy to report that fishing has been good this past week. We have been out on a number of charters and have had some great success with lots of action from smaller fish to keep us on our toes and some nice keeper fish as well. Crabbing has also been good, so we have been dropping traps on most trips. 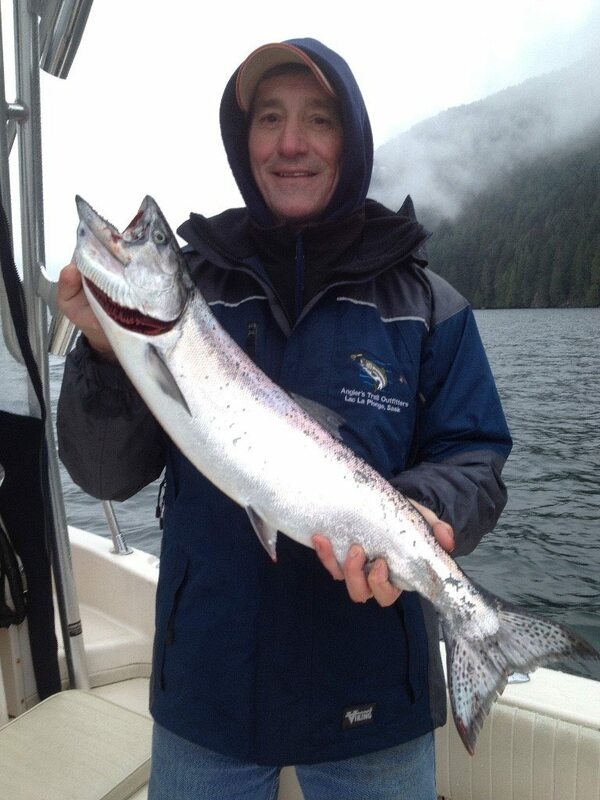 For the most part we have been fishing in Howe Sound but there has been some decent action in Vancouver Harbour too. As usual for December and January, the fish are all over the place, you just need to be in the right place at the right time. It looks like the wind forecast is good for this weekend, at least for the Strait of Georgia South of Nanaimo, and this is a great opportunity to head across to the Gulf Islands, so we are going to check that out over the weekend. This time of year the fishing is usually pretty consistent on Gabriola and Galliano and its always fun to head over there when the winds allow. Eddies guest with a nice fish from a trip on Wednesday. Don’t forget we have our Boxing Week Sale going on, so if you are looking to get some spoons and flashers, now is the time to do so and save some money. We have select spoons and hootchies at 30% OFF. Have a great New Years weekend and see you on the water or in the shop.